You just tied the knot with the love of your life and are ready to celebrate with your family and friends! Every detail has been planned so your wedding party and reception hall look amazing but for some reason the party just isn’t starting. Everyone wants to celebrate with you but a few music faux pas are keeping them from getting in the spirit and onto the dance floor. Take a tip from us and avoid these wedding music mistakes for an unforgettable reception. Budget-conscious brides may decide to use an iPod and make their own wedding playlist but we highly recommend you don’t do that! Your entertainment is not only present to make sure the guests are having a great time, they also act as the master of ceremonies and make sure everything runs smoothly. Who will introduce the newlyweds, announce the first dance, cake cutting, etc. if not the DJ? Furthermore, having just a playlist can be risky. What if your party lasts longer than the playlist? Or your guests have a ton of requests? What do you do if a song empties a dance floor in the first minute? Hiring a professional ensures you will have fantastic music options and the DJ or band will be able to interact with and read the crowd to determine what they should play so everyone will be on the dance floor. Before you start downloading a playlist, consider the many options for wedding DJ costs so that your wedding music will go from OK to awesome! Remember, a song that sounds great in your car may not pack a dance floor. Your wedding guests will most likely vary in age and music taste. To make sure all of your guests enjoy the reception, you should allow your DJ or band to consider all of the groups of people present and play songs from multiple genres and styles. If you take everyone into consideration, they’ll all have a blast. A band should be able to play music from all decades, even if it’s for a short amount of time. Only fifteen minutes of Motown will go by fast, but will usually make many guests very happy, even if you may not particularly like it. If you’re having a themed wedding that fits perfectly with one genre of music, be sure to mix it up a bit. If you play three hours of the same music, even you may get bored of hearing it! If you have a retro 50s theme then incorporating a few swing dance songs would go over very well, but unless your wedding guests have practiced that dance style, odds are they’ll be sitting out quite a few songs, waiting for something they’re familiar with. If there are a few songs that you just hate or associate with negative memories, you must make a do not play list and if there are some special songs you have to hear, create a must-play list. No matter how amazing you DJ or band is, they aren’t mind readers, so you need to let them know what you do and do not want to hear. Give them ample time to review your list so if there is a must-play song that isn’t in their repertoire they will have time to add it. Also, speak with your DJ and ask him to look over your DJs playlist before the big day to confirm the songs you want to hear are present and the do not plays didn’t accidentally make it on the list. Your first dance, father-daughter dance and all other special dances at your wedding should have personal meaning and create a special moment between the people sharing the dance. That being said, remember that your guests will be sharing the moment with you and slow dancing for four minutes can seem like an eternity for both the dancers and the crowd. Also, traditionally there are at least three dances at the wedding and sometimes more are added for step parents and other important people. If you have four dances at five minutes each, that’s 20 minutes your guests are standing around! Pay careful attention to your songs’ lengths and practice dancing to them before committing. If you’re just rocking back and forth, three minutes can be awkward. If there is a longer song you must include, talk to your band or DJ to discuss shortening the length. Yes, you want your reception to be exciting but club-level volumes are not the party vibe you should be going for. Some of your guests will want to chat when taking a break from dancing and high volumes will make that difficult and maybe even frustrating. Keep the music at an appropriate level that people can enjoy it but not so loud that people will have to leave the room to hold a conversation when they’re not on the dance floor. Some songs may have shockingly made it onto the radio but that doesn’t mean they’re OK to play at your reception. Avoid crossing the line between progressive and perverted music so you don’t offend your guests. Even if there is an innocent joke behind your choice of a song that is generally considered inappropriate, not everyone is going to be in on it so it may be best to leave it out. If there is a song you just have to play, consider having your DJ or band do a clean version of it but listen to it before the big day just in case it still isn’t far enough from an R rating. One of the most important things you need to do to make sure your wedding flows seamlessly is create a timeline and make sure all of your vendors have a copy. In regards to music, plan your special dances and be sure your DJ or band knows when they will take place. If your entertainment is aware of these times they can play music that will segway into them rather than cut the music right after a song where everyone is up and dancing. Having a timeline will also ensure that you don’t forget something important and that your photographer will know where to be when so they can capture the highlights of your wedding. Avoiding these mistakes are a lot to worry about. 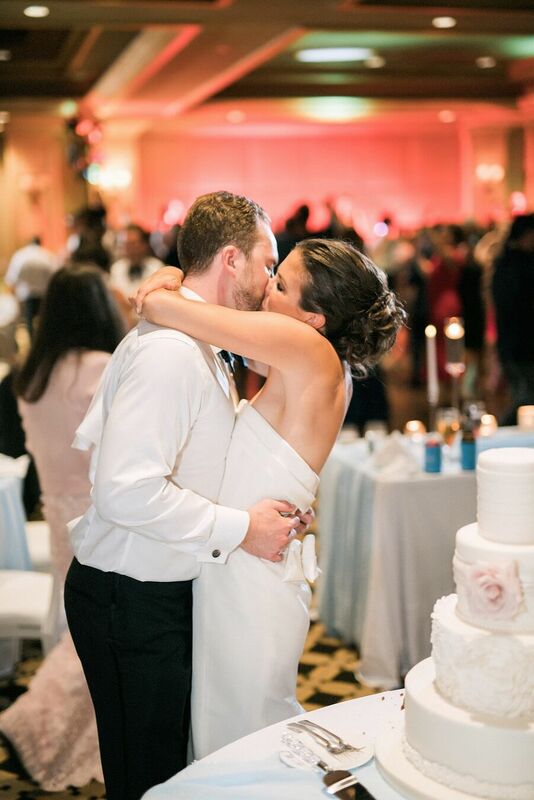 Hiring an experienced and professional DJ or band will help keep you stress-free and ensure your wedding music will keep the guests entertained and on the dance floor all night!